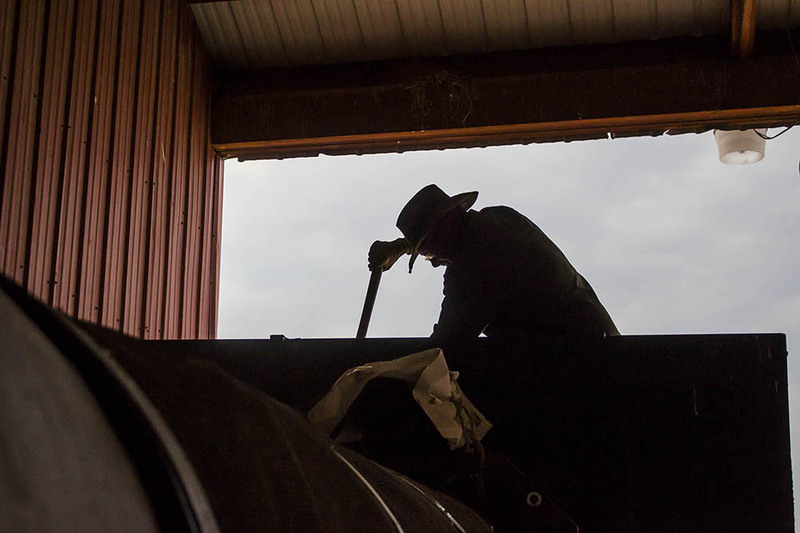 Third-generation rancher Steve Charter at his home in Shepherd, Montana. The current system is not only expensive due to extra chemical inputs used for production, it is also not as profitable for the producer and not as nutritious for the consumer. Steve feels the newly regenerated soil. 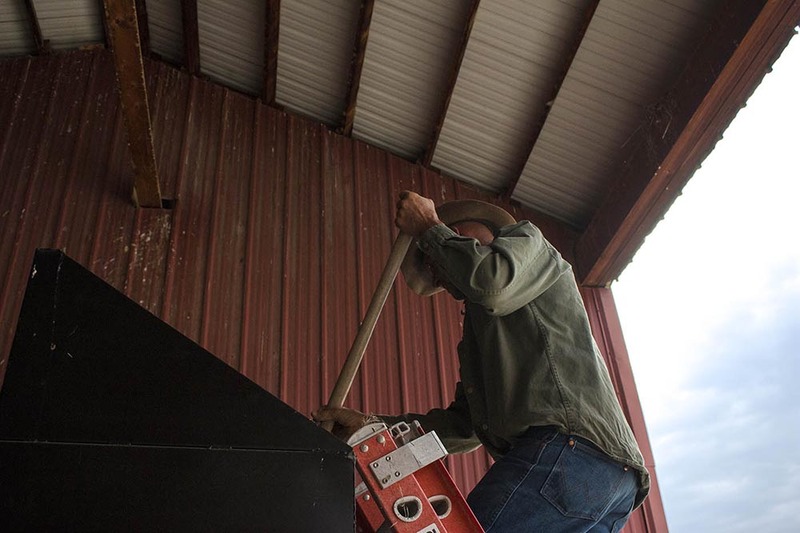 Steve feeds his soil microbes and organic matter to keep his soil rich and healthy. Fortunately, there is a fix for the unforeseen problems caused by modern agriculture. Soil regeneration and putting carbon back into the soil will produce healthier plants, healthier livestock, healthier land and therefore healthier people. Steve waters the soil before covering it to trap the moisture into the ground. Steve holds out vermicast fresh from the trummel. This process rids the soil of rocks and other unwanted objects. 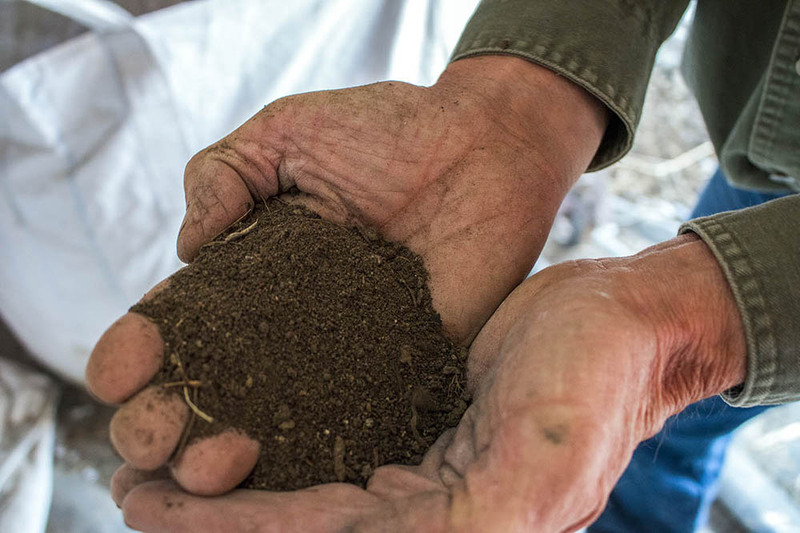 Northern Plains Resource Council’s soil committee is dedicated to educating and connecting farmers and ranchers to healthy soil initiatives. Northern Plains sponsored “soil crawls” are opportunities for individuals to learn about soil regeneration and then go out to local ranches and farms and see ongoing soil restoration projects. “I think what we’re doing right here is a good start. It does really help that there are other people working on this and people to talk to...people can start understanding these ideas and then the idea that everybody needs to support it,” said Steve. Steve’s cattle on his pasture in Roundup, Montana. Steve and his family look for worms in the regenerated soil. Steve in front of his solar powered home. Steve looks out across the field as the sun rises in Shepherd, Montana.